Speed Queen was launched in 1908 in Ripon, Wisconsin (United States). The company was founded by Joe Barlow and John Seelig under the name “Barlow & Seelig Manufacturing”. A little background to the success story! 1911: Barlow & Seeling Manufacturing improves electric washing machines, makes them safer and more efficient, then markets its first electric motor. 1915: First multi-directional spin-dryer by the company. 1922: Barlow & Seeling Manufacturing becomes the first company to use copper and nickel tubes in its equipment. 1928: The brand name “Speed Queen” is officially launched. 1939: Stainless steel becomes the go-to material for the manufacturing of Speed Queen machines. Stainless steel is used to this day in the development of washing machines. 1940: More than 60% of American homes connected to the electricity network have an electric washing machine (about 15 million households). Many even have an electric dryer. The Speed Queen group temporarily stops production of domestic washing machines until 1945, to collaborate with the war effort. The R & D department, however, remains active and works on the automation of equipment. 1960: advertising evolves and home appliances become one of the most commonly advertised items: the washing machine is at the heart of American middle class consumerism. 1970: more than 40% of French households have a washing machine at home. 10 years later, this proportion rose to 75%. 1980: Miniaturized electronic components add a new dimension to domestic washing machines. Models are designed to consume as little energy as possible. 1998: Speed Queen joins Alliance Laundry Systems, the world’s number 1 in industrial washing machines. The company has approximately 2,500 employees and the majority of its infrastructure continues to be located in Ripon, Wisconsin. 2013: Speed Queen partners with the Breast Cancer Research Foundation® (BCRF) – to support the search for a cure for breast cancer. 2014: International launch of the Speed Queen laundromat concept. 2015: BDT Capital Partners becomes the majority shareholder of Alliance Laundry Systems, and organizes a campaign against domestic violence. On the program: fundraising, donating clothes and installing a new washing machine in a women’s shelter. 2017: Alliance Laundry Systems creates a financial assistance program for the owners of laundries affected by Hurricane Irma. This same year, Speed Queen receives the Women’s Choice Award for the 4th year in a row, thanks to the reliability of our machines and the company’s transparency towards consumers. 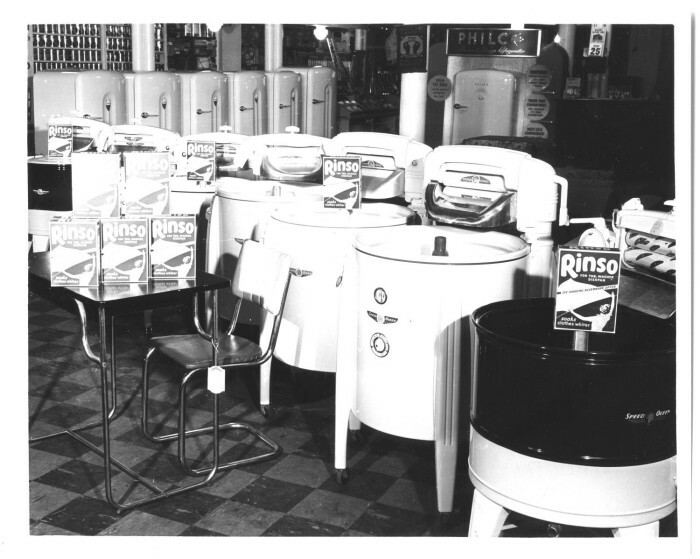 Over its 110 year history, Speed Queen has pursued two goals: making the best washing machines in the world and serving the communities in which the brand is evolving.